We at La Prodaia produce an excellent extra-virgin organic olive oil, using only olives from our trees of the best local varieties. The oil is obtained with cold pressing, using techniques that guarantee the product’s oganoleptic qualities, without any chemical treatment. The oil is not filtered, to preserve its distinctive taste. 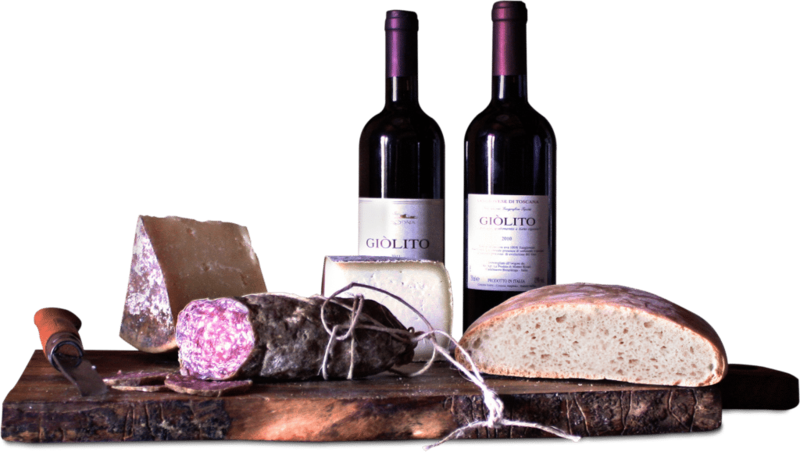 Our other pride is “Giòlito“, red wine made of 100% Sangiovese grapes from our organic farming. Giòlito has been awarded the medal of honour at the 10th Selection of Tuscan Wines, as one of the best five Tuscan wines in its category. From the same vinasse we also produce the “Grappa Giòlito“. All our products are available for degustation and sale at La Prodaia. Esposizione/altitudine sud ovest / 320m s.l.m.